Luckiest Man Ever? 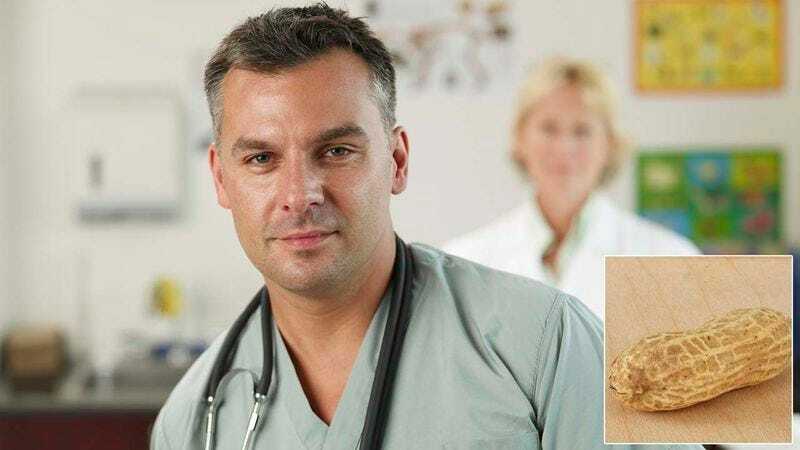 This Veterinarian Was Performing An Autopsy On A Pig And Found A Whole Peanut Inside Of Him! Plenty of jobs have their perks, but Dr. Martin Turner’s just paid off big time. A practicing veterinarian for three decades, Dr. Turner was in the middle of autopsying a hog when he discovered something incredible: a whole undigested peanut in its stomach. Wow! Talk about a lucky break. Best day ever? In over 30 years of working with animals, Dr. Turner’s never struck gold like this. So, what’s next for the luckiest man alive? Looks like we have a new frontrunner for understatement of the year. You go, doctor!